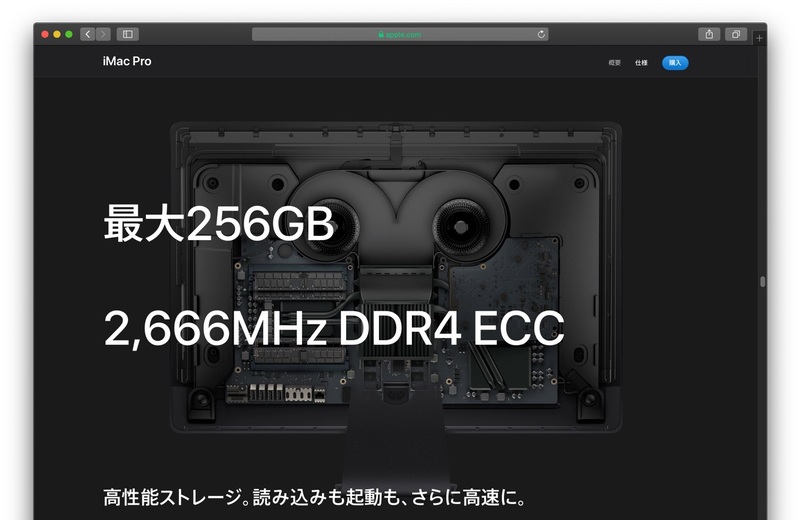 128GB以上のメモリを搭載したiMac ProでWindows 10を利用するとFaceTime HDが使えなくなり動作が不安定になる不具合。 | AAPL Ch. 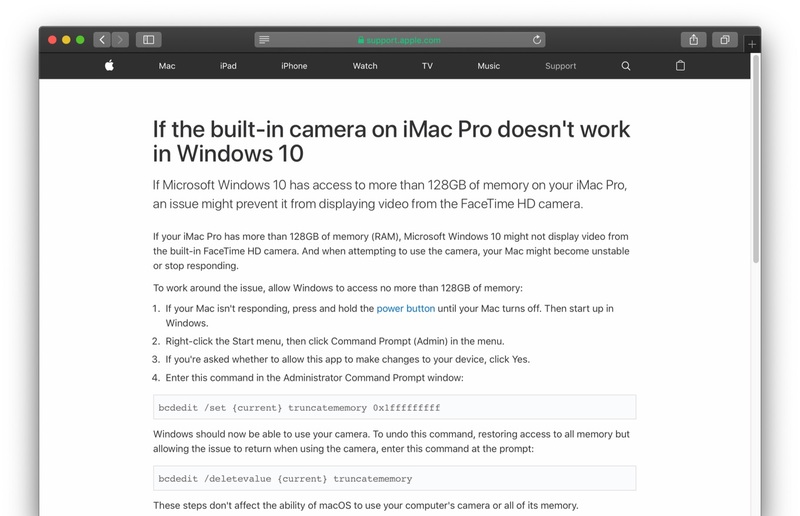 If Microsoft Windows 10 has access to more than 128GB of memory on your iMac Pro, an issue might prevent it from displaying video from the FaceTime HD camera. If your iMac Pro has more than 128GB of memory (RAM), Microsoft Windows 10 might not display video from the built-in FaceTime HD camera. And when attempting to use the camera, your Mac might become unstable or stop responding.